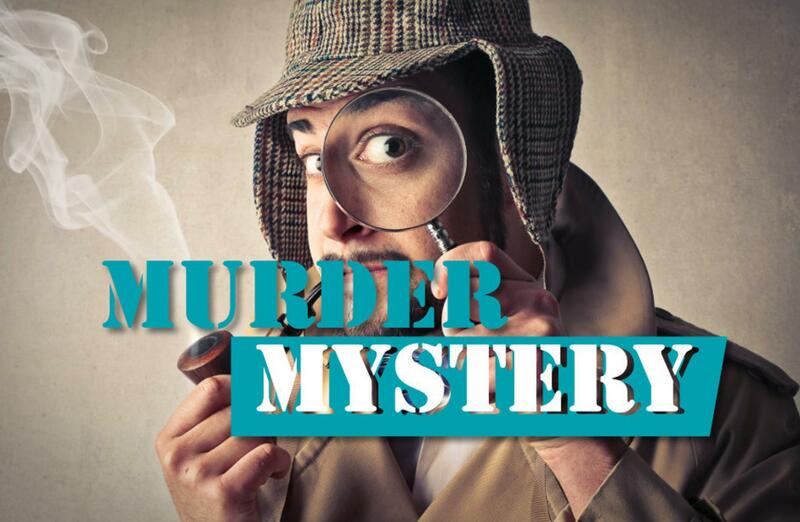 This Evening Entertainment is a perfect way to incorporate a twist of informality to your Team Building Event in the form of this puzzling, fun and interactive Murder Mystery entertainment during and after your evening meal. 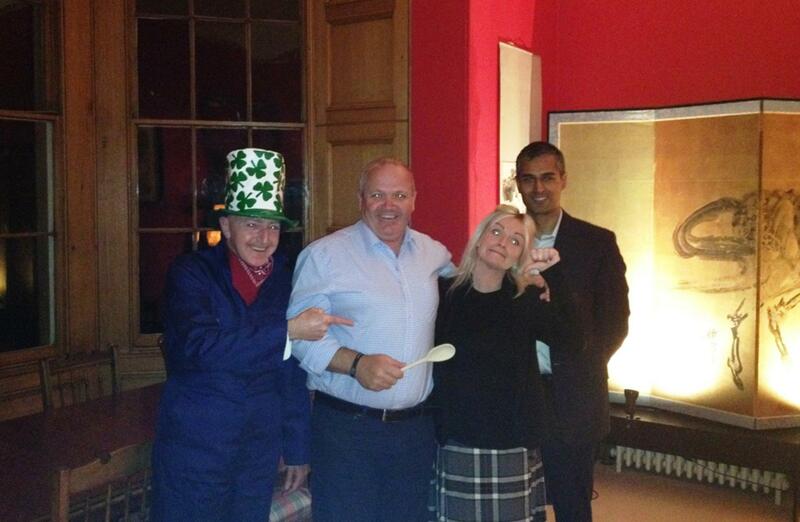 Put your heads together and try to work out Who Done It? 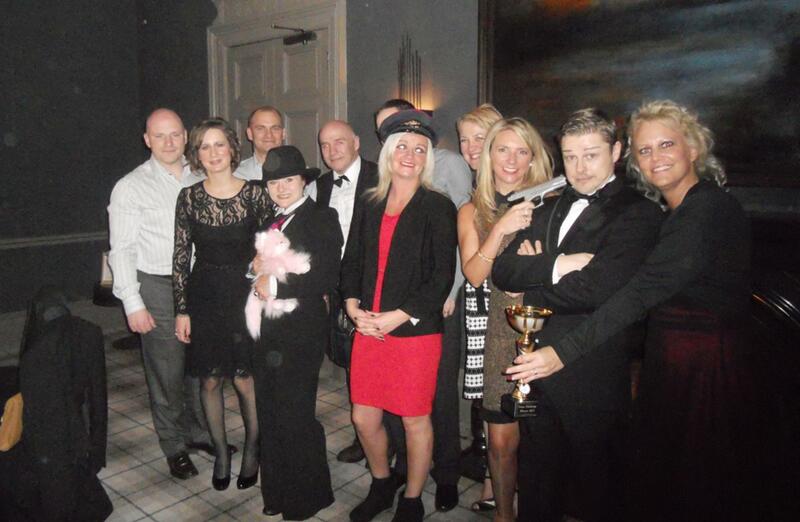 An interactive Murder Mystery night in Glasgow or Edinburgh is the perfect way to incorporate a twist of informality into your team building event, both during and after your evening meal. 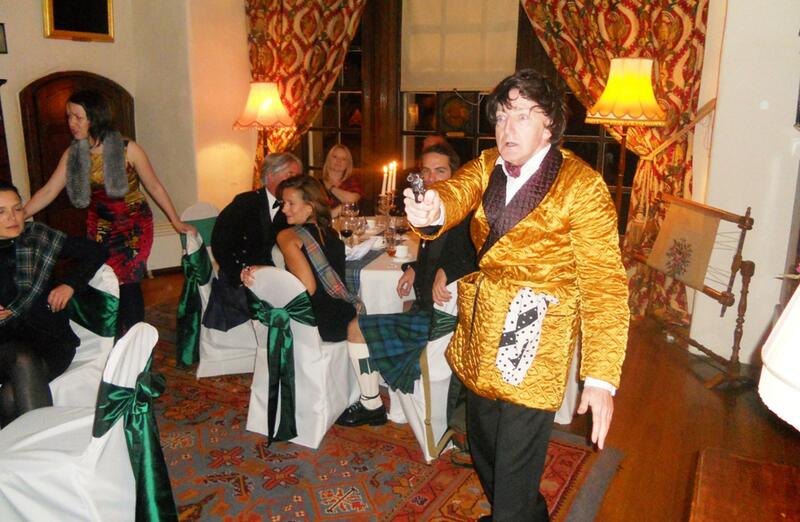 Fun and puzzling, our Murder Mysteries are entertainment for all. 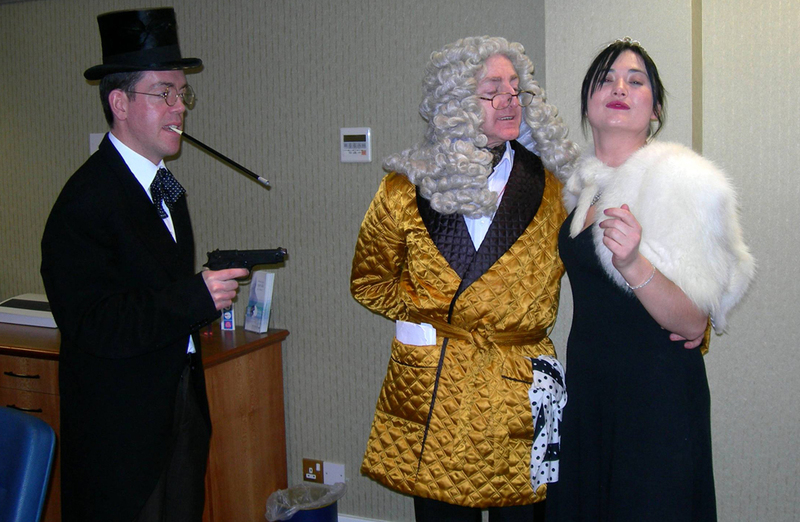 Why not go that extra mile and theme your event to make solving the murder even more enjoyable for all involved? 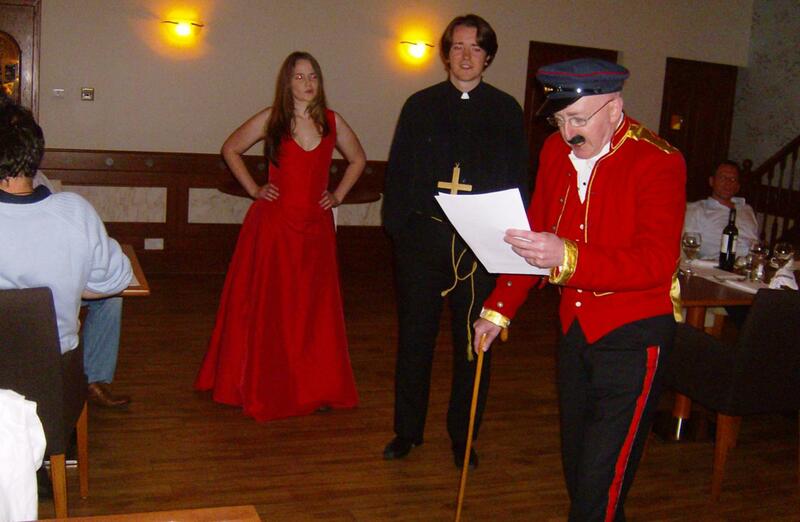 Scripts can vary for your Murder Mystery; you can enjoy a traditional manor house mystery, some medieval mayhem or find out who killed Santa, as well as superpower-fuelled murders, an Italian cooking disaster or a James Bond spoof. A team of trained actors will play the suspects and your team are the investigators. Watch and listen to the first act of the drama to pick up as many vital clues as you can. Eavesdrop conversations and keep your eyes peeled - everything is not as it seems. 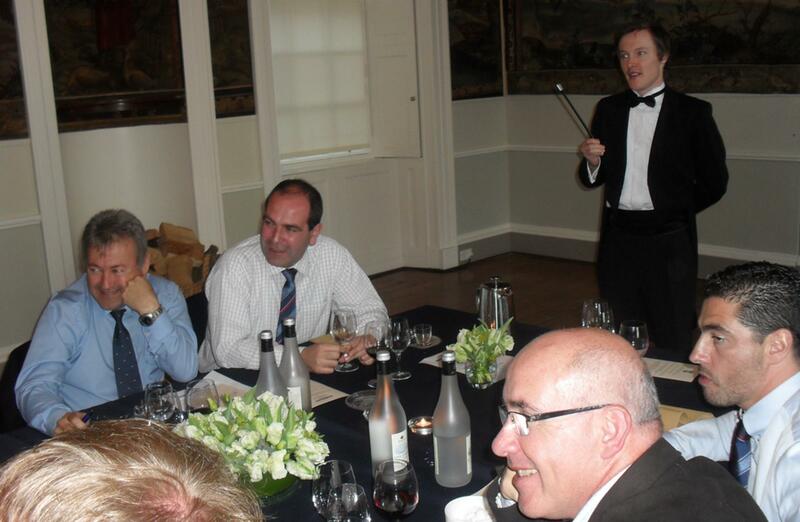 Interrogate the dastardly suspects as they dine with you and try to make up your mind. Decide, as a team, who committed the terrible murder and declare your accusation. Witness the concluding act of the drama as the shocking truth is revealed. 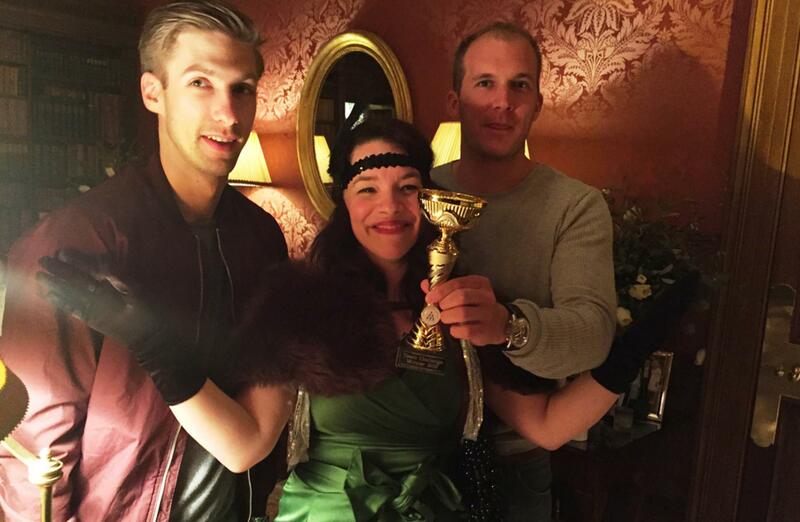 Will you be able to figure out ‘whodunnit’? 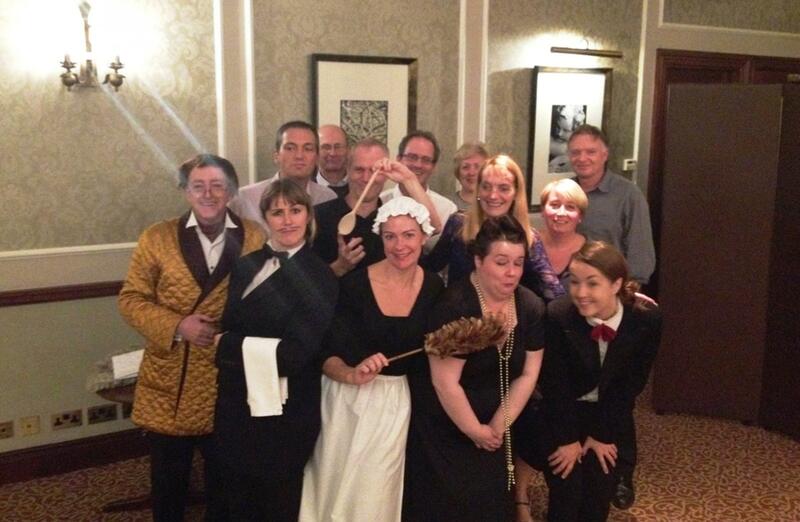 You are welcomed to dinner by our professional actors who will remain in character for the whole evening. It is game on from the moment you arrive until the murderer is found. Eavesdrop conversations and keep your eyes peeled as not everyone is what they appear. When the crime occurs, you will interrogate the suspects and gather any physical clues. Are the suspects telling the truth? If not, is it because they are involved in the murder or some other dark secret? It’s up to you to decide. We have several different themes to choose from and this means we can tailor it to suit your exact requirements.